You're reviewing: Microsoft Office 2010 Professional Product Keycard License. Need an office suite for your business but don’t have any extra time to search for the perfect product? 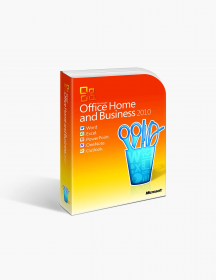 Look no further because the Microsoft Office 2010 Professional pack is ready for you to immediately download and install after purchasing this Keycard License. All you need to do is follow the instructions included in the pack, type in your License number and obtain access to the world of opportunities Microsoft Office offers. 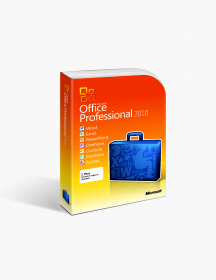 Get to know the 2010 Professional office pack and its key features and find out why it’s worth it! Word 2010 is Optimized for Efficiency - Wasting time is a foreign concept in the 2010 version of one of the most powerful text editors on the market. The developers of Word 2010 have thought of everything and provided you with ready to use templates, an array of font options, nifty text-editing tools as well as advanced tools for editing images. You can even take screenshots without leaving the app and customize your projects with from the multitude of SmartArt graphics. Access 2010 - Professional Results with Minimal Effort - Managing data can be difficult and confusing, but with Access 2010 you won’t need a professional to do your work for you anymore! The app comes loaded up with a set of templates, user-friendly interface and enhanced Conditional Formatting tools. You can also easily share your databases on the web with the option “save and publish”. PowerPoint 2010 - Present Your Ideas With Style - PowerPoint 2010 is the ultimate tool to create stunning slide presentations with tools designed to help you enhance your ideas and give them the perfect shape and look. With this new version you can embed videos into your presentations and use PowerPoint’s integrated video- and image-editing tools to perfect your presentation. The new Broadcast Slide Show feature lets you broadcast your presentation online - perfect for easy access and saving time! Excel 2010 - Manage Your Finances With Ease - The new features - Sparklines and Slicer - let you filter and highlight data and create visual representations in the form of charts, tables and diagrams so you can observe all details regarding your finances. The Ribbon design lets you find the tools you need easily without searching through many menu tabs. Like all apps included in the 2010 Professional pack, Excel 2010 offers different templates for all your business needs. OneNote 2010 - The Place for Your Ideas- Gather all your notes and ideas in one place, create notebooks on different topics for better management and embed pictures, charts, tables, web clippings and many more with OneNote 2010. Easily the best tool for collecting and organizing your ideas and searching through them with the improved search tool. What’s more you can now share your post online and collaborate on them with your co-workers with updates in real-time. Outlook 2010 - Your Personal Assistant - The Outlook 2010 software offers you the most efficient way to manage all your emails, contacts and tasks from just one place. The Conversation View feature included in the new Outlook 2010 will help you out with categorizing your emails so you know which ones are worth your time and which ones you can ignore. Publisher 2010 Makes Your Business More Professional - Publisher 2010 is yet another outstanding app created to facilitate your business’ growth. With it you can create marketing materials, brochures, newsletters, posters with ease and without a compromise on the quality. And if you run out of ideas you can always rely on the included versatile layouts to help you start your project. The Ribbon we all know and love is now even more convenient and functional. What makes it so special, though, is that now you can customize it to your liking! Make creating and editing files a more personal and productive experience with your custom sets of tools that are just a click away. The Backstage Section is the spot where you can manage every aspect of the files you create and the way you create them. This is where you save, share or print your completed documents. This is also the place where you can adjust the settings, create custom ribbons, as well as inspecting the files for hidden metadata and check their editing history. The New Tools. All apps in the pack come equipped with a variety of new and updated tools, developed with the latest business need in mind. The picture-editing tools in the apps are improved, giving you more options in order to create the perfect end result. The Accessibility. You can wave goodbye to all the extra hard drives because Microsoft OneDrive allows you to store your files online and access them anytime. You can upload them straight from the Backstage section and share them with your co-workers or partners. The Team Working. Last but certainly not least is the opportunity MS Office gives you to collaborate on projects with your colleagues. You can edit Word files simultaneously, combine your ideas in OneNote, help one another out with managing your business’ finances in Excel or design outstanding presentations together in PowerPoint. Why Get The Product Keycard License? 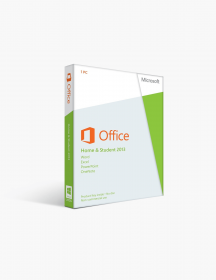 The Microsoft Office 2010 Professional Product Keycard License is perfect for you if you already have MS Office download to your computer because all you need to do to activate it is just type in the code provided in the pack you’ll receive. An Essential Tool for Every Business - The 2010 Professional pack is essential for every growing business, as it provides reliable and feature-rich applications, developed to meet all your business needs. Simply The Best - With so many users all around the world, there could be no doubt about the quality of the The Microsoft Office 2010 Professional Product Keycard License pack. Investing in this office suite would only benefit you and your business! These are minimum system requirements for installing Microsoft Office 2010 Professional Product Keycard License. CAD$164.00 | In Stock Want it Now? Order and receive your download instantly.